More Recycling ,Gorgeous Early Blooms and a Surprise Freeby. 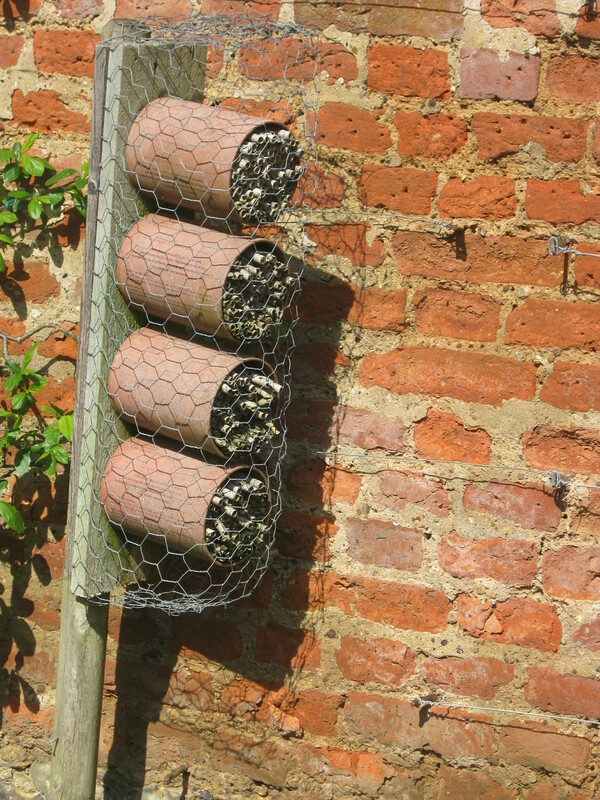 After going away this weekend and seeing the Bee Hotels, I’ve looked around the garden and found an old greenhouse heater. 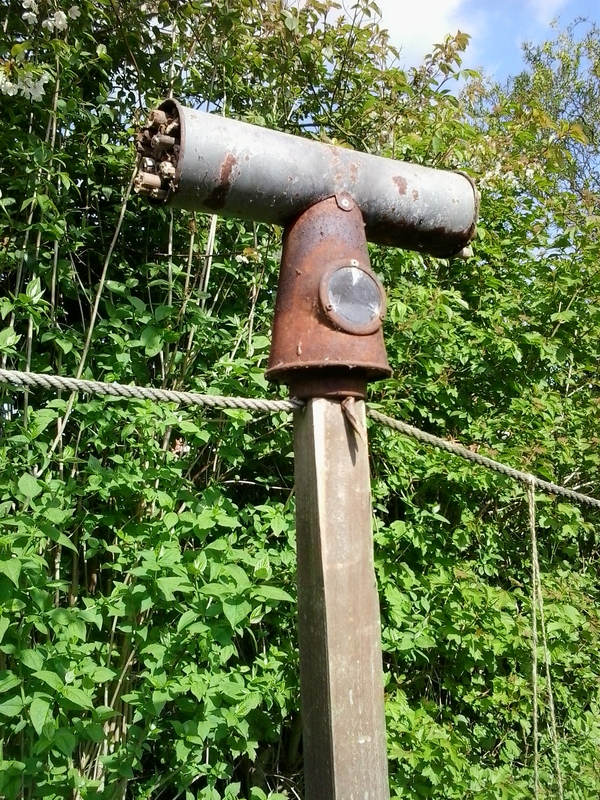 Here is the flue, stuffed with old bamboo off cuts and mounted on a post. Not sure whether this is too high, does anyone know if there is an optimum height for such a thing ? It’s a talking point anyway. 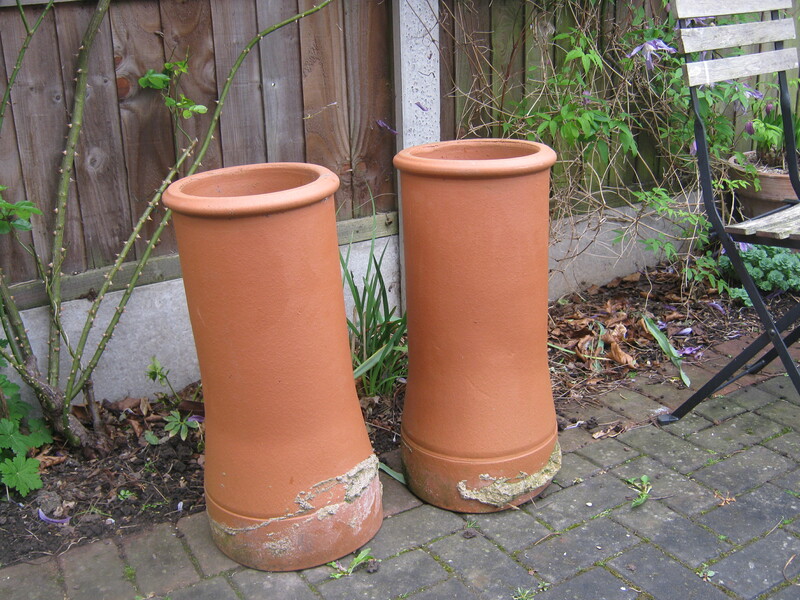 Well I was only saying this morning that some of the pots outside look a little dry. Then what happens, we get the biggest downpour that wasn’t forecast. So after another cuppa and a tidy of the conservatory, I ventured out. And it looks like the aliens have landed. Grown from seed a few years ago and I am still awaiting flowers. The shrub is about 2 metres tall, never fails me. 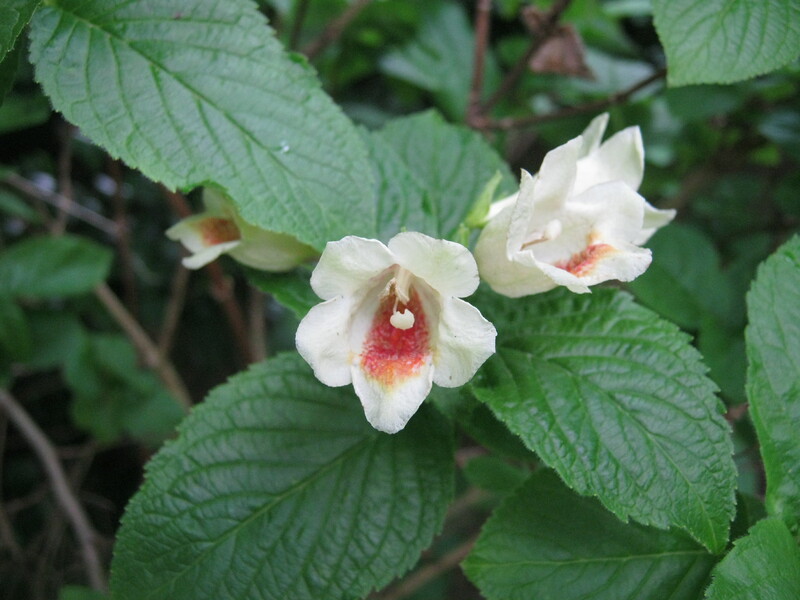 It is covered with beautiful soft creamy yellow blooms that have a heavily blotched orange throat. I find that this likes a spot that doesn’t dry out. 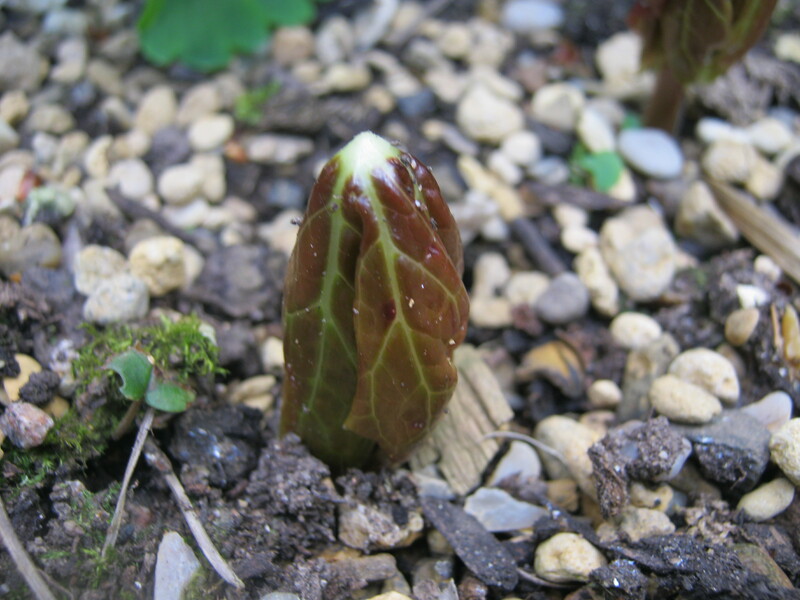 Mine is planted on the conservatory soakaway, along with the white camellia. 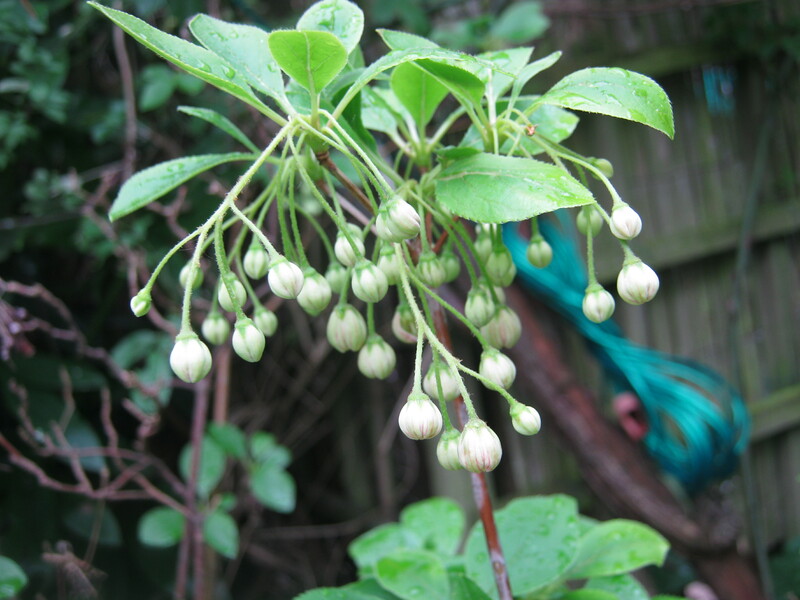 A small shrub for me, but can grow quite tall. In a few weeks time the flowers will open and have pink edges. The foliage has good red autumn colour. 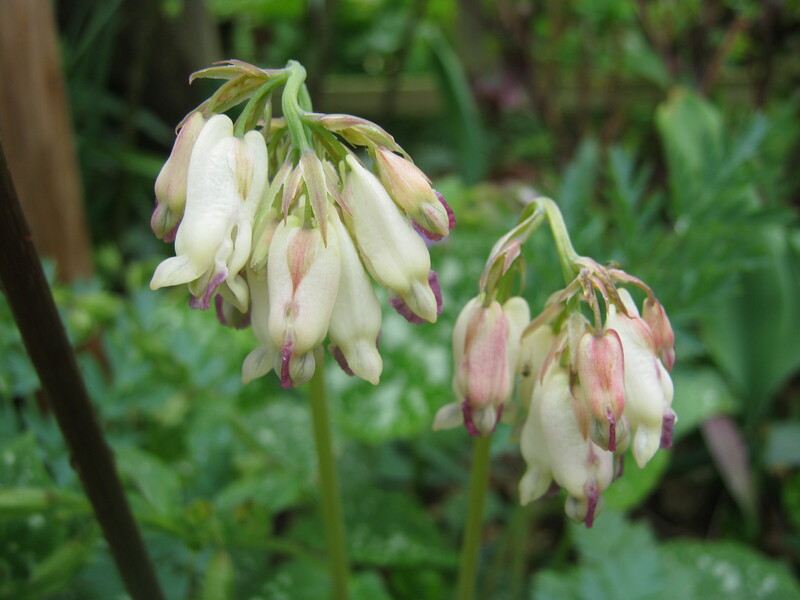 A really beautiful dicentra, one that needs to be looked at quite closely. I will have to have a go at painting this one. The colours are so subtle. ….here in the UK we have a system where you join something called ‘Freecycle’. It enables you to give away unwanted items. No money is used. As a surprise Mr Malc saw these on line this morning and fetched them this afternoon. They were only one road away. I have just the spot for them……. Seeing old friends and some inspirational gardens. We have just had a couple of days visiting old friends and taking in some National Trust property’s. 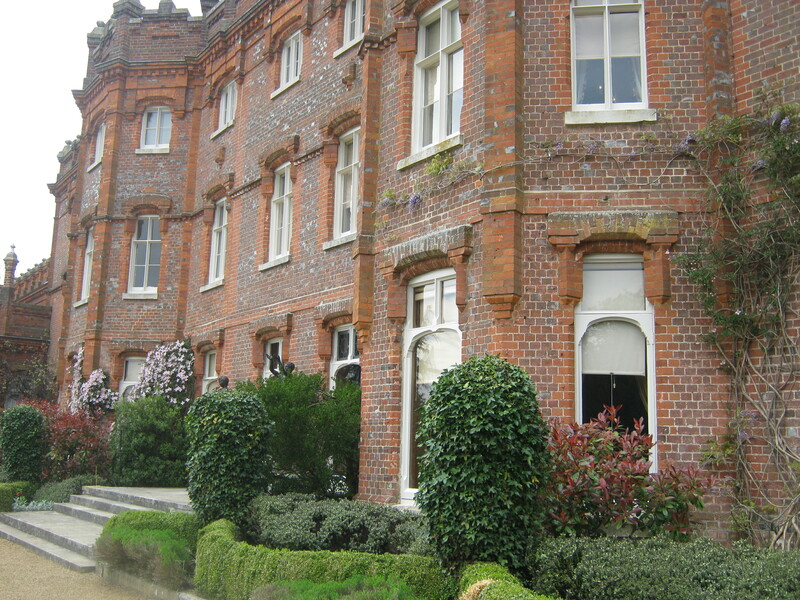 We made our way down to Fleet in Hampshire, stopping off at Hughenden Manor, home to Benjamin Disraeli from 1848-1881. We were given a very informative talk before walking around the house. In the basement we discovered that the house was used by the RAF during the second World War. A team of Royal Engineers were drafted in to make secret maps of German roads. This was all very fascinating. Today I think the N/T seem to be making the gardens more attractive and accessible to families. Recently I have found that the kitchen gardens are full of quirky features and many more unusual variety of fruit and veg than I have ever seen. This has to be tried at home. After a splendid evening with our friends, we moved on to West Green House Garden. And I have to say this was my favourite of the whole W/E. Just after the N/T bought this house and garden, it was leased to Lord Alistair McAlpine. In 1990 just towards the end of his tenancy an IRA bomb went off causing so much damage that the N/T were seriously considering demolishing the whole lot. Luckily Marylyn Abbott took on a 99 year lease on the property and garden. 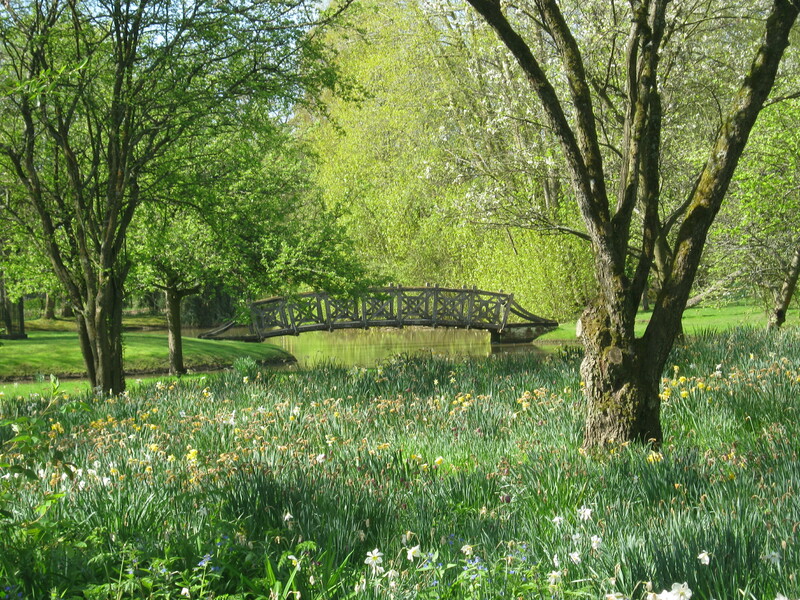 Marylyn Abbott has done a stunning restoration of the gardens. I was in awe when I first walked through the gate. This has red obelisks with red and white themed planting though out the seasons. The beautiful lake with it’s wooden bridge. 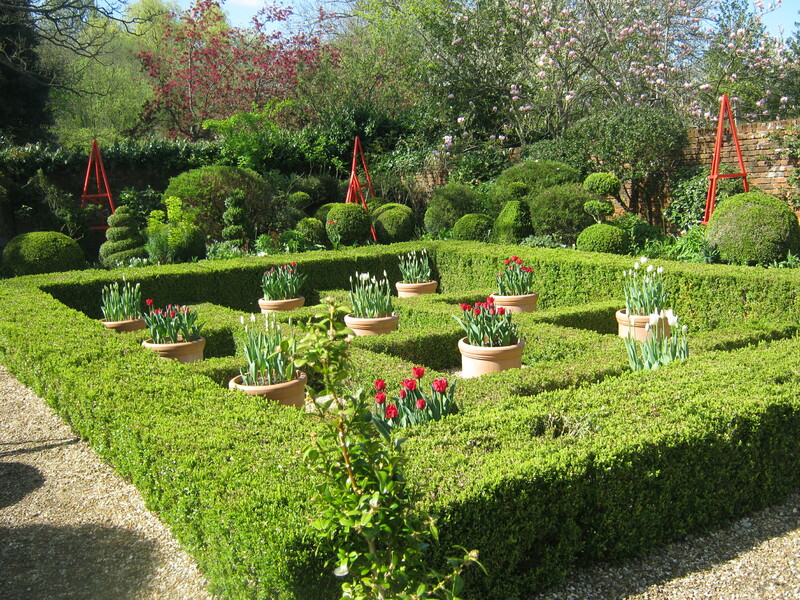 The main garden is a fantastic Potager, it was filled with and amazing variety of spring bulbs and plants. 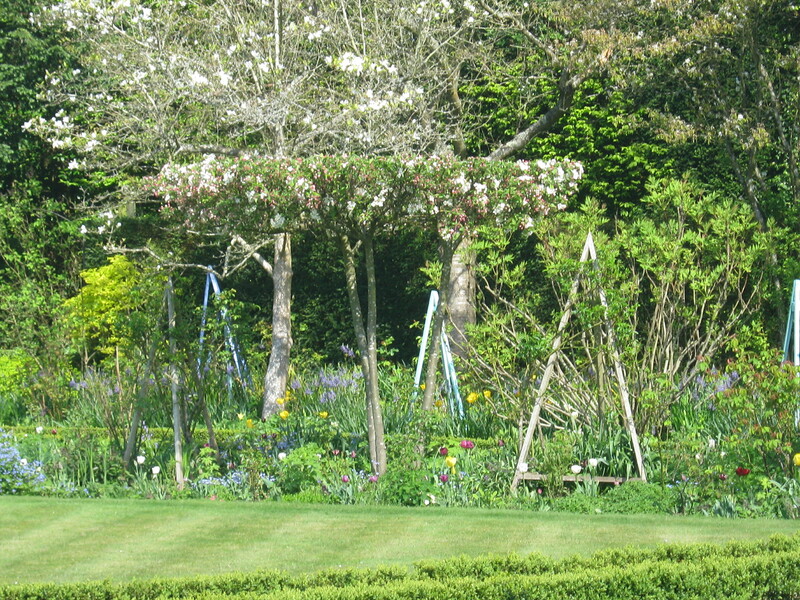 I wanted to show you what it would be like in the summer, so have taken a photo of the summer garden from the handbook……. ….although not a clear picture you get my drift. 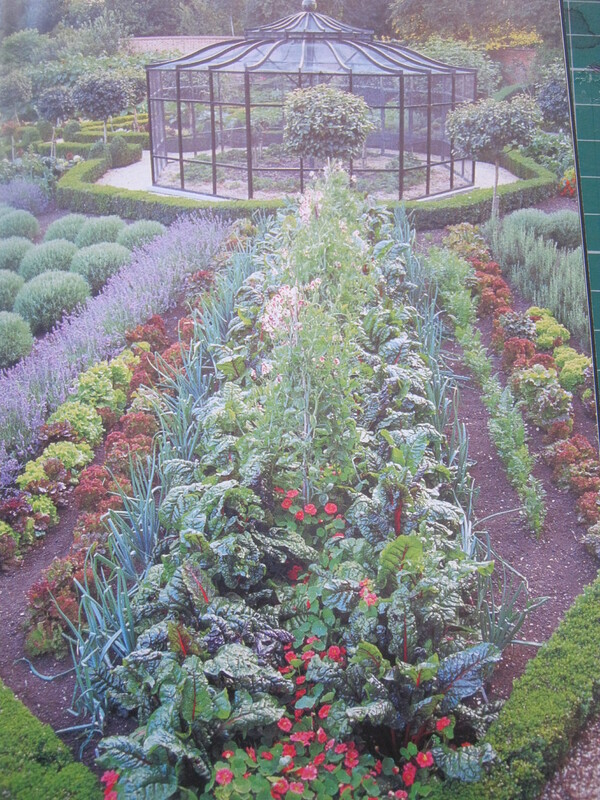 This is the best Potager I have seen as regards use of colour and plants. 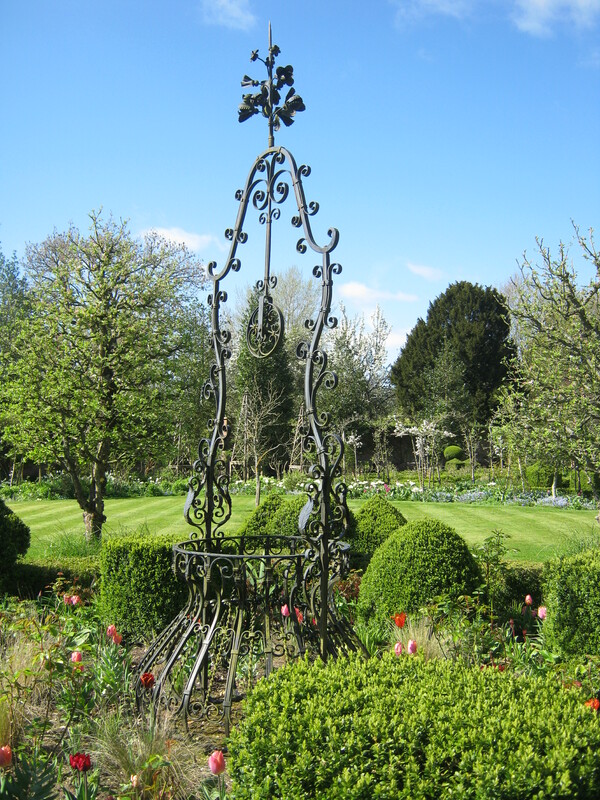 The structures in the garden are also a work of art. All around are huge metal structures, just waiting to be filled with fruit vegetables or flowers. All the fruit trees were pruned and shaped, this is a table top apple tree, one of at least a dozen such trees. You’ve been framed Mr Malc…….A stunning brick circle in the old wall. We moved on to Basildon Park, where apart from everything else, some of Downton Abbey was filmed here.The house had quite a few of the costumes worn by the actors. Our last stop was to Greys Court. This house had a smaller more homely feel. The gardens were also less grand but very productive. 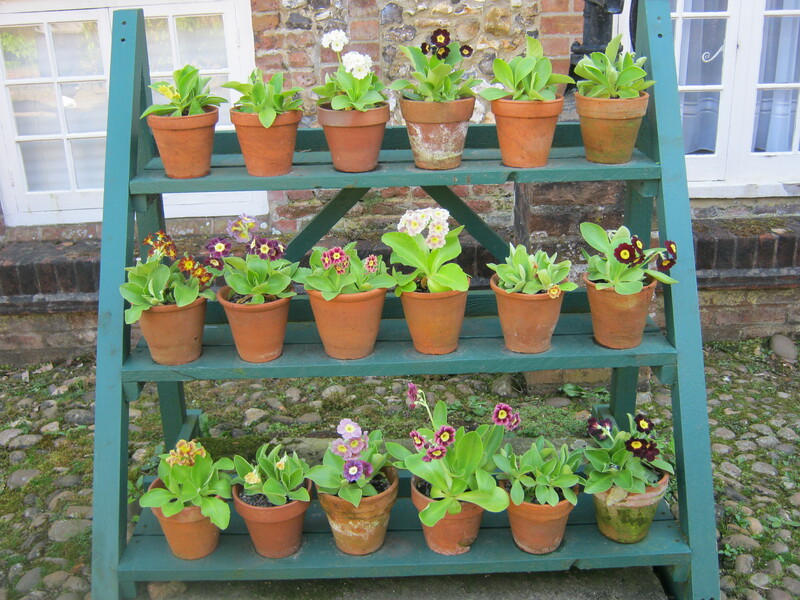 As you can see I found more Auricula. A lovely display of Viola. 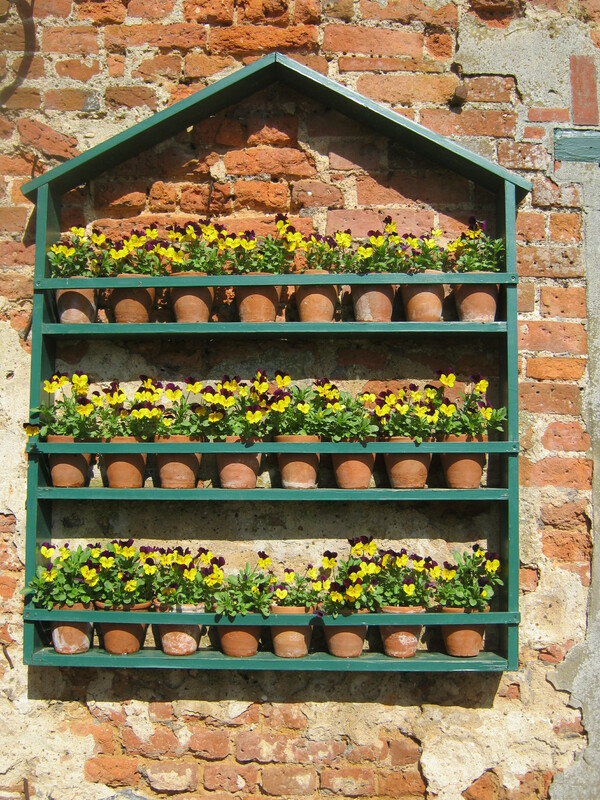 This is something I do after the Auricula have flowered, I put Viola and houseleeks on the ladders. 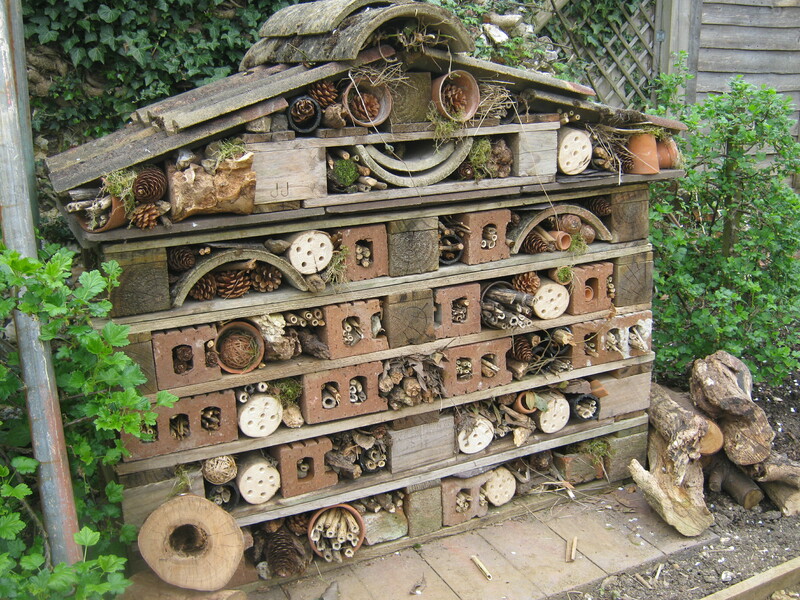 Another very productive insect hotel. This is the first one I have seen that is actually being used by the bees. 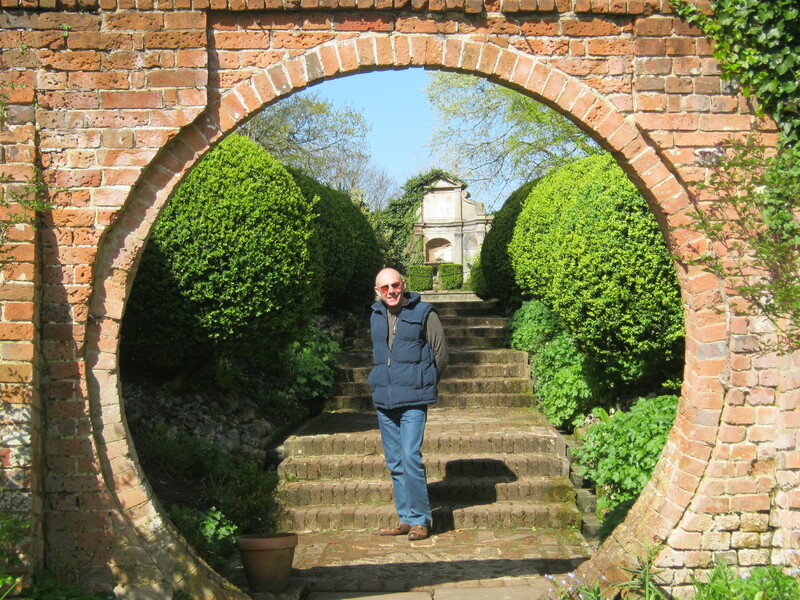 Do you have a favourite garden to visit, let me know especially if it is in the UK. 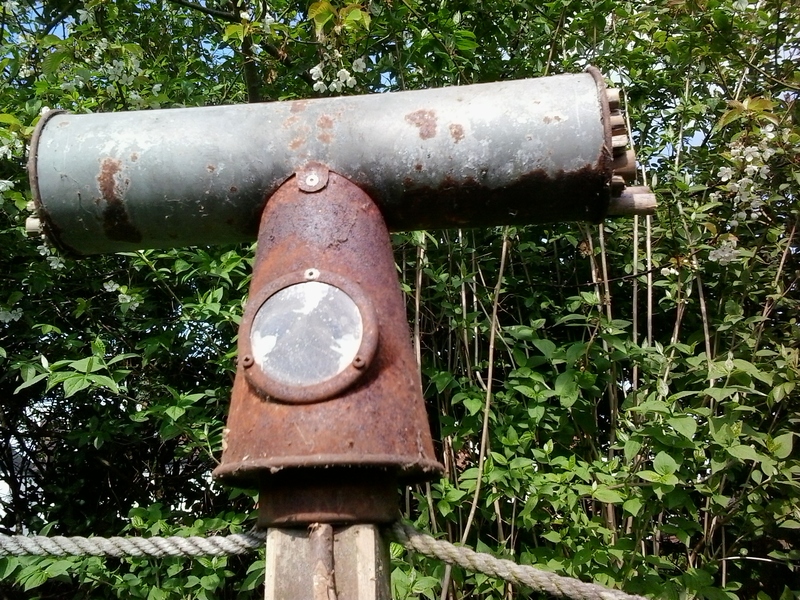 It is a bank holiday weekend here in the UK, so we will be using this time to catch up with family and also catching up with many jobs that need doing around the garden and allotment…..